appointments and loose living characterized Alessandro’s life. His sister, Giulia, was the mistress of Pope Alexander VI, and it was through that liaison that Alessandro’s papal career got its start. Alessandro himself kept an Italian mistress with whom he had four children. In 1513, he broke off relations with his mistress, ended his dissolute lifestyle and was ordained a priest in 1519. Upon the death of Clement VII, Alessandro was the oldest ranking cardinal and was elected in a conclave that lasted only two days. Several challenges awaited him, not the least of which was his order of excommunication of Henry VIII. (Clement VII’s earlier sentence had been suspended.) This excommunication was over the king’s divorce from Catherine of Aragon (who happened to be the aunt of Emperor Charles V) and his subsequent marriage to Anne Boleyn. Pope Paul placed England under an interdict, but he failed to get the support he had hoped to impose sanctions on England. England then became further alienated resulting in a failure to reach any agreement with Henry. This ensured the schism with the English church resulting in Henry’s Act of Supremacy in which Parliament declared him head of the Church of England. Also noteworthy is Paul’s support of the Emperor’s war to suppress Protestant resistance in the Empire. He provided military aid against the Schmalkaldic League, an alliance of German Protestant princes. 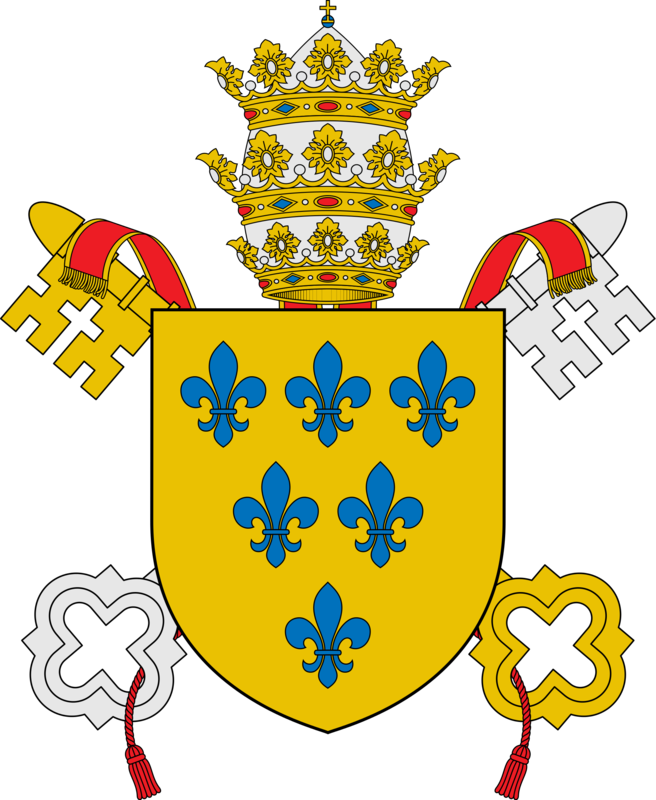 While Pope Paul engaged in rampant nepotism by elevating three young grandsons to the rank of cardinal, and by giving parts of the Papal State to his dissolute son, Pierluigi, and territory to his grandson, Ottavio, this was also a pope who was responsible for serious reform in the church itself. Chiefly, Pope Paul is remembered for convening the Council of Trent in 1545, a council that held twenty-five sessions over nearly twenty years. It was concerned with both dogma and reform despite the Emperor’s stated wish that it should confine itself only to reform. There was also controversy with the emperor over its location. Paul III was eleven years into his pontificate before the Council of Trent began, eleven years of wrangling, which gave the leaders of the Protestant Reformation time to solidify their position. After the eighth session in 1549, Paul III suspended the Council without further reforms being issued. The Council of Trent has been called a watershed in church history since it issued decrees on everything from Scripture and original sin to the sacraments and church tradition. These eight sessions—and the succeeding seventeen sessions of the Council of Trent that lasted until 1563, long after Paul’s death, produced a reformed Catholic church that survived the Protestant Reformation and affirmed its own Catholic teachings in what came to be known as the Counter-Reformation. During his pontificate which lasted for fifteen years, Paul continued the work of his predecessor, Clement VII, by encouraging the reform of religious orders such as the Theatines and Barnabites and an order of teaching sisters known as the Ursulines, founded by St. Angela Merici in 1535. 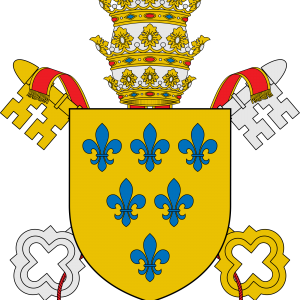 In 1540 the Jesuits were formally recognized and became the papacy’s chief defenders of the faith against heresy. While he was critical of the cruelty of Francis I towards the Protestant Huguenot in France, he nevertheless established theHoly Roman & Universal Inquisition in 1542. The purpose of this Inquisition was to maintain the Catholic religion uncontaminated by errors and to punish severely any who persisted in heresy. In principle, the tribunal reflected the moderate and merciful nature of Pope Paul III. However, in time, with an increase in the number of cardinals and judges sitting on the tribunal, a change in temperament occurred. With one of them, Pietro Caraffa, the future Pope Paul IV, it became noted for its severe verdicts and barbarous punishments. 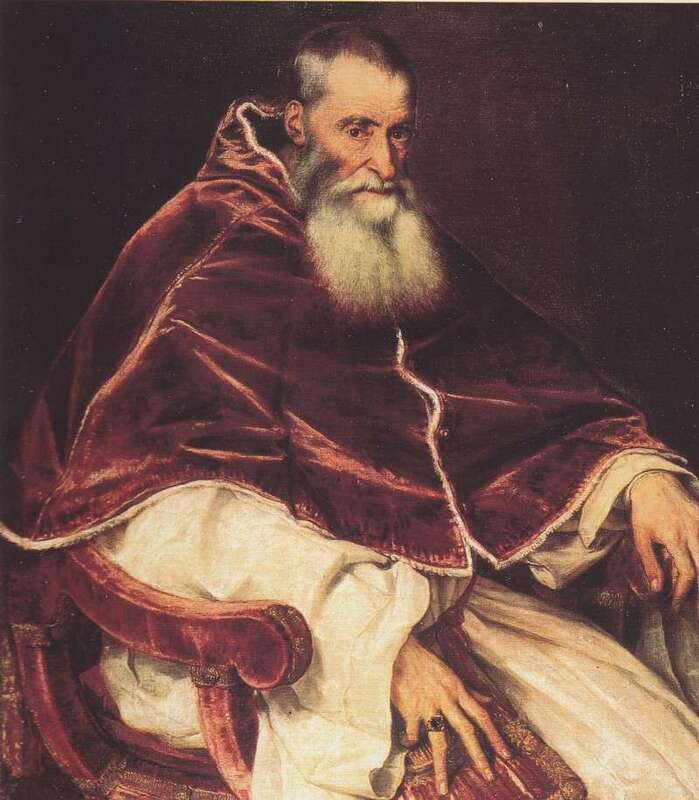 It is also well to note that Pope Paul III was the first to officially condemn slavery in 1537. All in all Pope Paul appointed seventy-one cardinals most of whom were admirable men who displayed remarkable diplomatic skills. He was a Renaissance man, a patron of the arts who championed writers, scholars and artists. He restored Rome’s university and added to the Vatican library. He commissioned Michelangelo to complete his Last Judgement in the Sistine chapel. Paul was responsible for the restoration of Rome following the sacking in 1527. Chief among his architectural achievements was the redesigning of the cupola of St. Peter’s Basilica by Michaelangelo, a refinement of the previous architect, Bramante’s, work. His papacy also dealt with the endless advance of the Ottoman Turks encroaching on and threatening the coast of Italy as well as Christian outposts further east. But the constant rivalry of the Emperor Charles V and Francis I of France prevented him from taking any effective action against them. Paul’s great glory lies in the fact that when he died on November 10, 1549, a new era had been born, the era of the Catholic Reform.